The lack of sleep is nothing unusual for the hardest working young band in Britain. Since they burst onto the scene in 2013 – debuting at Numbers Two, Three and Two with their first three singles (Can We Dance, Wild Heart, Last Night) – the four musicians have barely stopped. 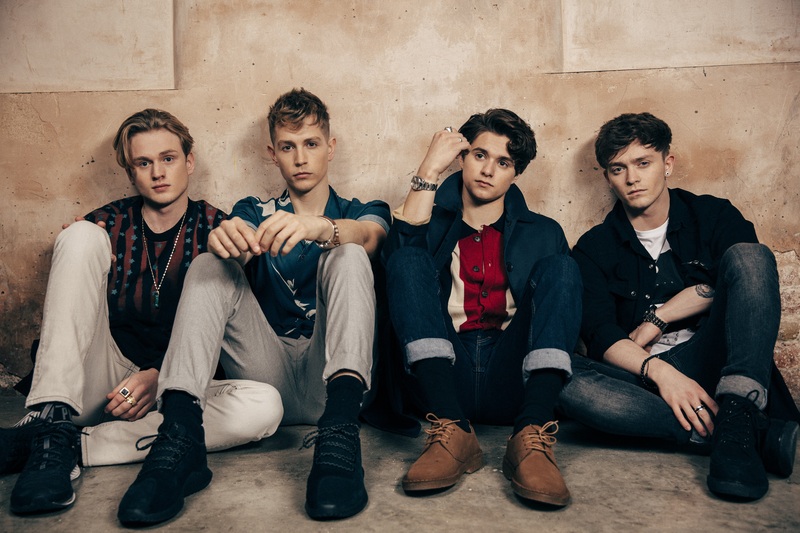 Their debut album, 2014’s Meet The Vamps, was another smash, followed 18 quick months later by their second album, Wake Up. Within a matter of months the band had sold out London’s 20,000-capacity O2 four times. Along the way there were collaborations, with Demi Lovato (a duet on Somebody To You), Brooklyn Beckham (star of the video for the single Wake Up), Shawn Mendes (who featured on Cecilia) and 20th Century Fox (a cover version of Carl Douglas’s Kung Fu Fighting, for the soundtrack Kung Fu Panda 3). They’ve also found time to launch a label, Steady Records, signing American band The Tide and British trio New Hope Club. And in between and all around there was touring. Lots of touring. 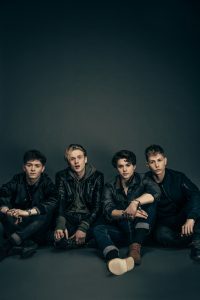 Brad Simpson (lead vocals and guitar), James McVey (lead guitar and vocals), Connor Ball (bass guitar and vocals) and Tristan Evans (drums and vocal), are barely into their twenties but already they’ve undertaken two world tours, with a third, arena-shaped trek coming down the pipe for 2017. And, having played the O2 11 times in total in three years, the performance-loving foursome can’t wait to get back out there. That momentum and enthusiasm is front and centre with the latest developments for The Vamps. On the one hand, they’re just back from an action-packed trip to India, where their popularity is exploding – something their UK fans are already aware of, having spotted that The Vamps released an India-only single in late summer. The party-bringing Beliya was a collaboration with best-selling Bollywood songwriter/producers Vishal and Shekhar. Forward-thinking and risk-taking. It’s what The Vamps are all about. And now, another single, this one nosed confidently in the direction of The Vamps’ third album. The glorious, super-catchy All Night is the first fruits of the writing sessions the band began in earnest when the Wake Up tour wound down in spring. Simpson explains the track’s genesis, and offers a window into the band’s rigorous but open-minded approach to crafting songs. Pleased but not 100 per cent satisfied with the end-result, The Vamps did what they always do: listened to the radio and soaked in the sounds of the songs that were thrilling them. All Night, glistening with future-facing beats but with a juggernaut melody at its heart, is the result. And that open-source approach to writing suits these industry-savvy millennials. 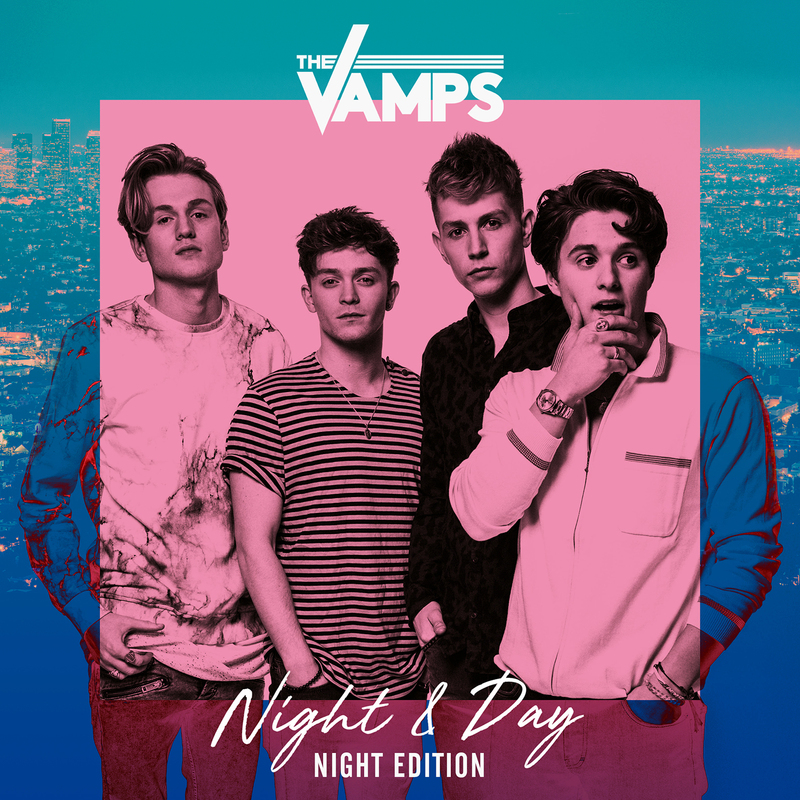 While they’re a million miles from talent-show try-hards shoved in with this or that LA/New York/London/Stockholm hit machine and told to belt out a topline, The Vamps are happy to work with building blocks and creative ideas from third-party artists. As much was evident on their mind-blowing trip to India – a jampacked rollercoaster that had the band repeatedly up all night, with no sleep and actually feeling like they were always dreaming. Turning up at super-glamorous Indian Fashion Week parties to discover you’re the guests of honour can do that to four young Englishmen, no matter how well travelled they are. During their eight-day trip to the sub-continent The Vamps wrote and recorded a new, English-language version of a song on the soundtrack to an upcoming Bollywood action film, Shivaay. They also rebooted their collaboration with Vishal and Shekhar, co-writing and recording a second India-only single, Nakhra. The band were also mobbed by fans in Delhi and Mumbai, toured the country’s national TV talk shows, and played a club show (ten times smaller than their normal venues) at Delhi’s Hard Rock Café in front of a rapturous crowd. They almost tore the place apart (in, er, a good way). 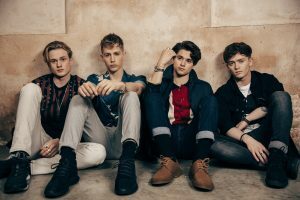 With the excitement of the trip still ringing in their ears, The Vamps are pushing on with writing for the third album. They have a few keepers already. They include a pair of belters written in Sweden with fast-rising production duo Jack & Coke and a song created by Simpson during rehearsals for their last arena tour. It’s a possible next single, and the band are keeping the provocative title under wraps for now. Suffice it to say, it shows yet another side to The Vamps’ ever-evolving sound, not to mention their ready wit.